Cases of suicides linked to cyberbullying have grown over the past decade, but being tormented over the internet is rarely the main factor involved, a new Canadian study shows. There have been 41 suicides since 2003 involving cyberbullying in the United States, Canada, Australia and the United Kingdom, but most of the victims were also bullied in school and many suffered from mental illness, including depression, said John C. LeBlanc, a professor at Dalhousie University in Halifax who conducted the research. "Although cyberbullying is a new and fairly awful modern manifestation of bullying … it is not a cause of suicide," he told CBC News. "It's only one factor among many … People who are cyberbullied have, for the most part, been bullied in more traditional manners as well." The recent case of British Columbia teen Amanda Todd, who took her own life after posting a video on YouTube describing how she had been tormented by bullying online and struggling with depression, has shone a spotlight on the problem of cyberbullying and the tragic consequences that can result. Her death last week sparked a firestorm of international attention, prompted RCMP to investigate the contributing factors, including cyberbullying, and pushed MPs to call for a national anti-bullying strategy. There have been other high-profile cases in Canada, such as Jenna Bowers-Bryanton, a 15-year-old Nova Scotia girl who took her own life in January 2011. LeBlanc and his team of researchers analyzed English-language media reports of suicides in which cyberbullying was mentioned. They identified 41 cases, stemming as far back as 2003. Their research showed that the incidence increased over time, with 23 cases (56 per cent) taking place between 2003 and 2010. But in 2011 and the first four months of 2012, there were 18 cases of suicides with a cyberbullying link. There is no clear reason why the cases appear to be growing, but exposure and use of social media has increased, LeBlanc said. "While it is catastrophic, it is rare. These 41 cases, over four countries in eight years illustrate that … but it's rare and therefore very difficult to study," he said. The vast majority of cases, 23, were in the U.S., followed by six in Australia, five in the U.K. and four in Canada. Of the victims, 78 per cent of them who committed suicide were bullied both at school and online — with only 17 per cent targeted on the internet only, the study showed. A mood disorder was present in 32 per cent of the teens, and another 15 per cent also had depression symptoms. Another notable finding was that all of the victims were between the ages of 13 to 18, likely stemming from the pressures of adolescence, LeBlanc said. "Teenagers are very vulnerable that way," he said. "Adults use social media, particularly young adults. So, it's not exposure to social media, but about being a young adolescent that is trying to form his or her identity, and cares very much about what people think." The victims were more often female, with 24 female cases compared with 17 males, researchers found. The researchers also catalogued the type of electronic media or social media used. Social networking sites were used in 48 per cent of all the suicide cases, while messaging (text, pictures or video) were used in 25 per cent of the cases. 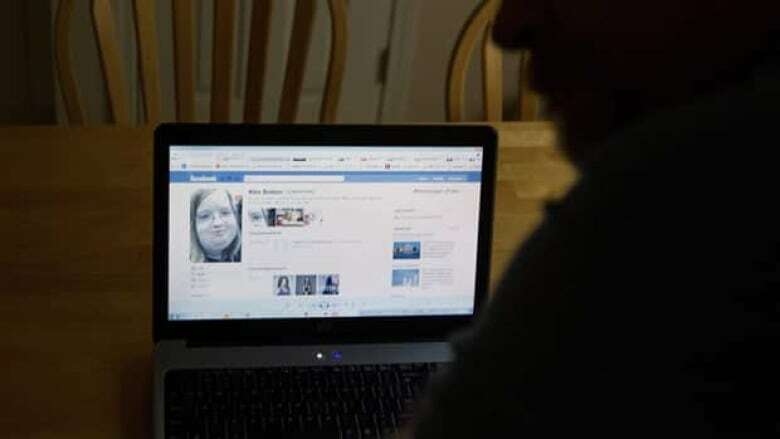 Facebook was used in cyberbullying most often, cited in 27 per cent of cases, while Facebook combined with messaging of pictures, videos and texts were used in 13 per cent. Also, it appeared that most of the suicides took place in September and January, coinciding with the beginning of a new school semester, though there were not enough cases to be statistically significant, LeBlanc said. The takeaway message from the study, he said, is like with traditional bullying, people must intervene when they suspect someone is being bullied. Todd's recent suicide is a "striking example," he said, of a troubled person putting out a cry for help, but no one coming to her aid. Because bullying usually takes places out of the view of most adults, other young people need to step in, whether online or in person, LeBlanc said. "Youth themselves have to develop a code of ethics or civility … where, when things like this happen, they actually jump in to protect the other person, and they actually post things online that says this is inappropriate," he said.